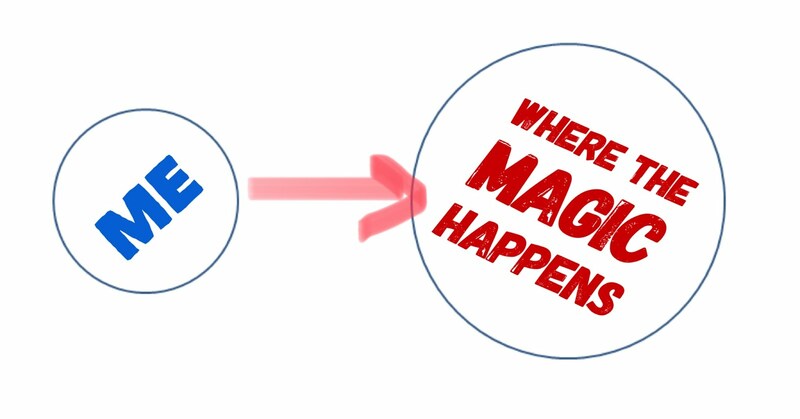 JayTheBanker's Blog: Where the ”magic” happens.. Boy, I really like being in my comfort zone…and the older I get, the more I look around for opportunities for me to stay in it. For years I did everything I could to avoid the "uncomfortable situations" that showed up in my life. Have you ever noticed how comfortable you like to be? Ok, I am not talking about being comfortable as in sitting in an incredibly cushioned chair type comfortable. · Arriving at a busy and crowded restaurant and avoiding absolutely everyone. · Enter a business meeting full of people…and you avoid everybody. · Get asked to speak on a given topic and being quick to say "NO THANK YOU!" · Not extending your hand to meet someone standing right next to you. The challenge I gave myself several years ago - and I pass on to you is this.. Look for those opportunities that make you uncomfortable…opportunities that will create a better you. Trust me, you will recognize them when you are asked to do them. Your heart may even race a bit when the situation arises. Every time you step into a situation that takes you out of your comfort zone…you will get better at handling it. 1) What if you asked the customer at your desk or in your teller line or on the phone about…Who they do their investments with…you might have the opportunity to bring up our investment representative and how they can help them reach financial goals. 2) What if you took a minute and called that customer who you spoke to yesterday who was having a bad day…"just to check on them". 5) Apologizing for the error of judgement made with a friend. Regardless of the outcome, you'll still be you on the other side. You'll have more courage the next time and you'll be able to "chalk that one up to experience" if doesn't go quite as planned. When confronted with the chance to be uncomfortable vs comfortable…I really do my best to step into the situation I know will make me uncomfortable. WHY? Because you'll grow, you'll improve, you'll be more courageous, you'll become an even better leader. 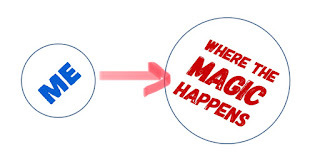 Choose to step into the place "where the magic happens"…and get out of your comfort zone.